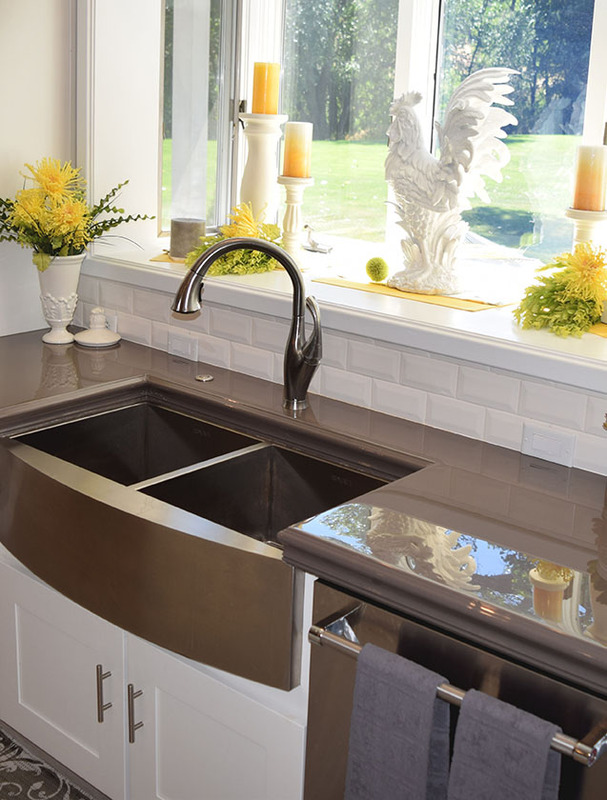 Countertop Epoxy offers a simple, step-by-step system for kitchen countertop resurfacing. Choose from our Countertop Epoxy Kits or Create Your Own to make a one of a kind countertop that you can show off to your friends and family. Our do-it-yourself Countertop Kits make it easy for anyone to cover new or existing countertops such as laminate, tile, granite, wood and much more to create a beautiful lifetime surface. The most durable, heat resistant, and longest lasting resin on the market. Premium FX Poxy is a 100% solids and Zero VOC formulated epoxy that is applied at 100 mils or thicker, and is both heat resistant to 500F (260C) and UV resistant, recommended for indoor or outdoor use. Made in the USA, this epoxy is unlike any other epoxy on the market today. Most other epoxies are only 5 mils thick and prone to peeling and fading. Our product will last a lifetime without peeling, breaking, scratching or fading. FX Poxy can be installed in your home without a mask because there is no odor and no harmful evaporative chemicals. If you have any other questions, please don't hesitate to call. We have the most experienced staff in the industry, and for no additional cost, we will be happy to answer all of your questions and walk you through the entire process. Call Now at 970-639-9338 to speak one-on-one with one of our professional installers. Endless design and color choices for the same price. Match your home's interior with many different color combinations. Create any natural or unnatural stone pattern. Heat resistant up to 500F degrees (260C), five times stronger than concrete, and shock resistant, meaning you can drop something heavy on the surface and it will not break. Rock hard, seamless and non-porous surfaces will not attract bacteria, yeast, fungi or other microorganisms, and are more resistant to staining, easier to clean and great to cook and eat on. Highest UV resistance in the industry; this system is resistant to fade or yellow from the sun, and is perfect indoors in sunny areas or outdoors on bars, tables and other surfaces.